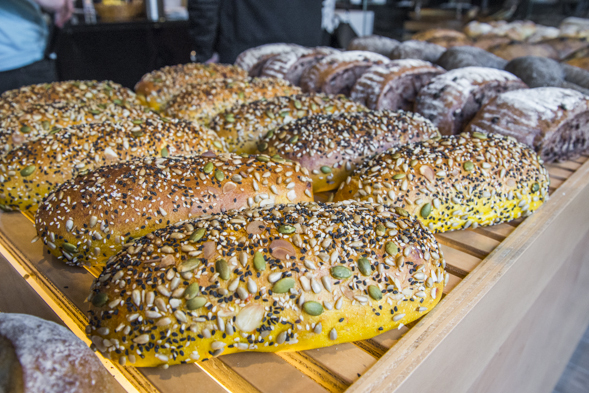 Bake Code has opened its first flagship in Canada, located at Yonge and Sheppard in North York . 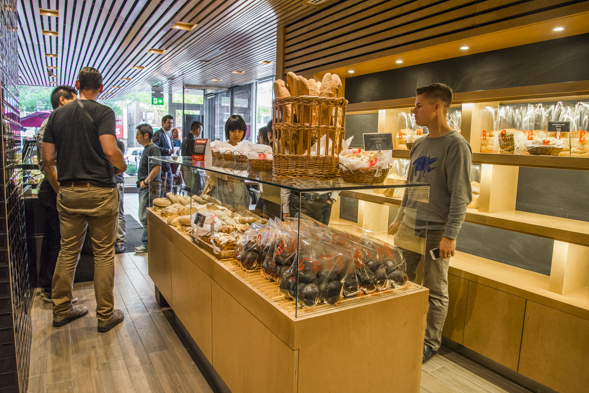 This Taiwanese chain, a "high-end bakery boutique," shares a parent company with bubble tea franchise Chatime - there's even a Chatime Express inside the bakery with a pared down menu - and combines European and Asian baking traditions. 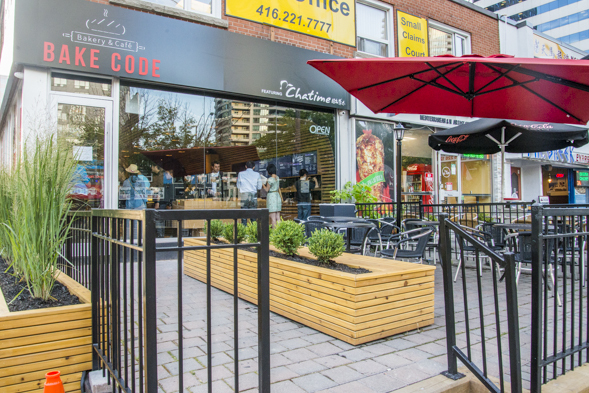 With some tables and seats for dining in as well as a front patio, Bake Code takes the European cafe concept and mashes it with the self-serve aspect of Asian bakeries, adding North American Costco-style free samples in front of each baked good so customers can try before they buy. 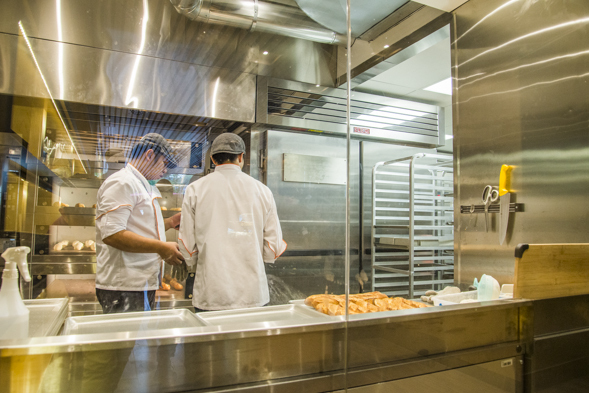 Bakers can be seen working away through a glass window, making everything from scratch in the back kitchen. A timetable posted at the front of the shop informs customers what featured items from its repertoire of over 70 products will be coming out of the oven that day and when. 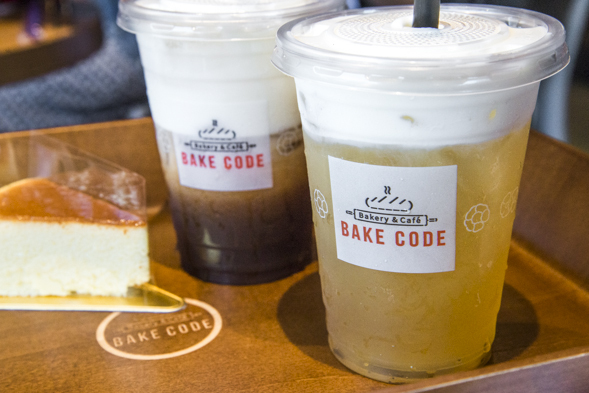 In addition to Chatime's bubble tea, the cafe portion of Bake Code includes brewed coffee, espresso-based drinks and "teapressos." There is also iced sea salt coffee or green tea ($4.20 medium, $4.70 large), with the coffee version sweeter than the green tea (jasmine, not matcha), and both topped with a frothy whipped foam of cream that contains hints of sea salt. Like typical Chinese bakeries, there are pork floss buns and soft and fluffy bread loaves here, but there are also intriguing fusion offerings like the Gangnam Star ($4.90), a soft French bread stuffed with kimchi & cream cheese, or the Goji Berry Roll ($5.50), another soft bread with goji berries and raisins inside, and almond slices, sesame seeds & sunflower seeds on the outside. 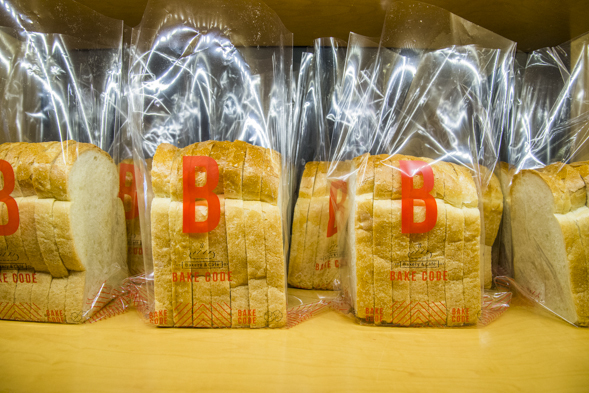 Care is taken in the sourcing of ingredients; with the exception of exotic fruits, azuki beans and a few other items, about 90% is sourced locally. Sausage rolls and sausage croissants contain 100% Ontario pork (and not hot dogs). 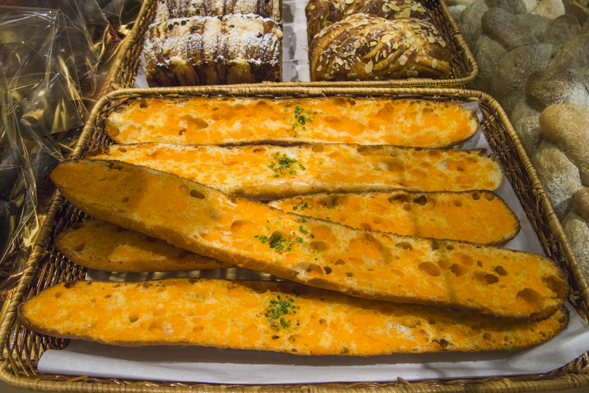 For me, a highlight is the Mentaiko Baguette ($4.50), which is half of a French baguette cut lengthwise and spread with a mix of fish roe, lemon juice and wasabi mayonnaise. It's pleasantly crispy and salty, with a hint of spice, and I can't stop eating it. 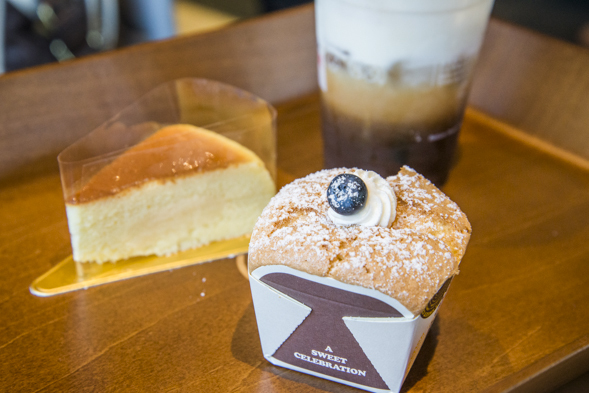 Pastry-wise, all the on-trend Asian dessert items like slices of Japanese cheesecake ($2.90) - there is also the New York version - and mille crepes cake ($6.70) can be found here, plus the Hokkaido chiffon cupcake ($2.90), a light and fluffy sponge cake filled with custard cream. This is definitely a fun place to explore and sample some new flavour and texture combos you may have never tried before. A second location is set to open in Richmond Hill's Hillcrest Mall by the end of the year, so hopefully one will appear downtown in the near future as well.